When Will You Get Pregnant After Depo-Provera? Depo-Provera, also known as the birth control shot, can also completely stop your menstrual cycles, especially with repeated use. This can be worrisome if you’re not expecting it, and you may worry about whether and when your cycles will come back. Depo-Provera has a poor reputation online and infertility forums. Previous users are often surprised how long it takes for their fertility to return after discontinuing the injections. If you have stopped using Depo-Provera and want to get pregnant, you may have concerns and questions. When will you be able to get pregnant again? Is it normal to take so long for your fertility to return? Can Depo-Provera cause long-term infertility? Depo-Provera use is not associated with long-term infertility beyond two years after the last injection. Women who are still not ovulating 22 months after their last injection—or who are not pregnant within 6 to 12 months after they start ovulating—should see their doctor for a fertility evaluation. Many women (50 percent, according to the research) will be pregnant 10 months after their last injection. However, for others, it may take up to two years for their fertility to return. After one year of injections, the average length of time for menstrual cycles to return is about 6 months (after the last injection.) This can be longer or shorter. For more detailed answers, keep reading. 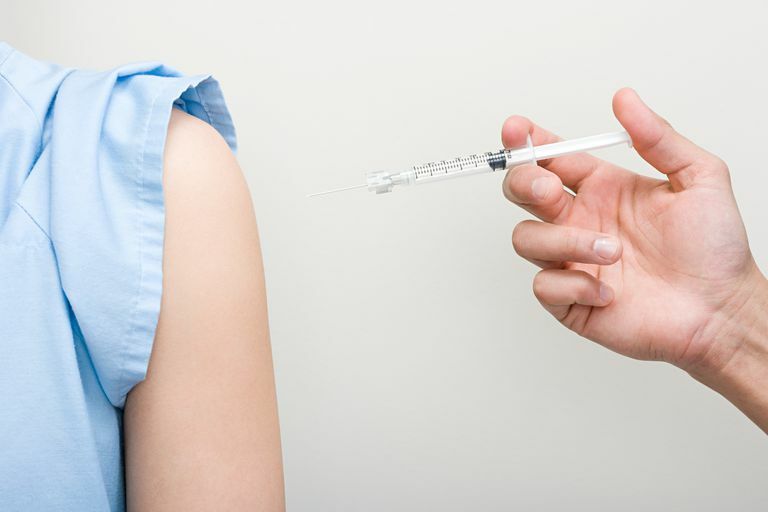 What Is Depo-Provera and How Does It Work? Depo-Provera is the brand name for the medication depot medroxyprogesterone acetate (DMPA). It is taken via injection and provides three months of reliable birth control. Injections are repeated every three months for as long as the birth control is desired. Depo-Provera is a progestin-based contraceptive. It works by suppressing ovulation and thickening cervical mucus. Unlike birth control pills, which need to be taken daily, Depo-Provera injections are needed only once every 90 days. This is because the injection creates a depot (or storage) of medroxyprogesterone acetate in the body at the site of the injection. After the injection, progesterone levels in the body gradually rise for about three weeks. After three weeks, it reaches its peak. Then, the levels of progesterone slowly decline. Whenever progesterone levels are below a certain level (less than 0.1 ng/mL), ovulation (and regular menstruation) begins again. Some women will have their menstrual cycles completely stop while getting Depo-Provera injections. In women who have had the injections for one year, 50 percent experienced amenorrhea (lack of menstrual cycles). This is not a sign of infertility, but simply an expected side effect of the medication. Menstrual cycles will return once the medication runs its course. Usually, your period will return within 6 months of the last injection, but it may take longer. As long as you want to prevent pregnancy, you need to receive an injection every 90 days. This is because, after 90 days, the levels of Depo-Provera are not high enough for most women to reliably prevent pregnancy. Let’s say you want to get pregnant and you discontinue injections. You might assume your fertility will return on day 91, but this isn’t how the medication works. While the levels of Depo-Provera after 90 days may not be high enough to be considered effective for pregnancy prevention, they may still be too high to get pregnant. Some women will get pregnant the very first month after the 90 days, but this isn’t common. Most women will see their fertility return within 5 to 7 months of their last injection. In other words, about two months after that 90-day period ends. Within 10 months of the last Depo-Provera injection, 50 percent of women are pregnant. Your regular cycles return. Having a regular menstrual cycle is the most obvious sign that ovulation has started. Irregular cycles are a possible sign of ovulation problems. (Irregular cycles are normal when you're getting injections and just after you stop the shot.) What defines a regular cycle? Your cycles are longer than 21 days but shorter than 35 days. Your bleeding isn't very light. Just spotting could be a sign that you're not ovulating. Positive results on an ovulation predictor test. These are ovulation tests you can buy in any pharmacy or online. They work a lot like a pregnancy test, in that you use your urine to test your hormones. While pregnancy tests look for hCG, an ovulation predictor test looks for the hormone LH. LH spikes just before you ovulate. Ovulation detected on a body basal temperature chart. Your basal body temperature is your body's temperature at complete rest. This temperature changes depending on where you are in your cycle. If you're ovulating, your basal body temperature will jump up and remain higher until you get your period. Then, it will drop back down and stay there until ovulation occurs again. You can track your basal body temperature at home. This is a way to know if ovulation has returned after Depo-Provera, and it can help your doctor help you if you find that ovulation has not returned as expected. But not every woman will get their cycle back 5 months after the last injection. In some cases, it may take up to 22 months—or almost two years—for fertility to return after the last injection. Why does this happen? According to the research, the delay seems to be related to a woman’s weight. Women who weigh less will have their fertility return faster than women who tend to weigh more. This has to do with how long it takes your body to completely metabolize the progestin. How long you’ve used Depo-Provera is not associated with a longer period of lack of ovulation. In other words, whether you used Depo-Provera injections for 6 months or two years doesn’t matter. Your fertility will likely take the same amount of time to return in either case. If you received the subcutaneous version of Depo-Provera (as opposed to the older more commonly used intramuscular injection), your risk for experiencing a lack of ovulation for up to two years is significantly less. According to at least one study, 97 percent women who received the subcutaneous version of Depo-Provera had ovulation return after 12 months. The most important thing to know is that Depo-Provera is not known to increase your risk of infertility after that those 12 to 22 months. In other words, Depo-Provera use is not associated with an increased risk of infertility in general. Ovulation (and possibly your menstrual cycles) take awhile to return due to your body not yet metabolizing the medication completely. Not because Depo-Provera has somehow caused a long-term infertility problem. With that said, in just about every thread on Depo-Provera on infertility forums, you’ll find women saying their fertility never returned, even after two years. Sometimes, they will assume that this was caused by the shot. This isn’t backed up by the research. Remember that infertility occurs in 1 in 8 couples. This includes couples who choose to use Depo-Provera. There will be women who can’t conceive after Depo, even two years after Depo, but this isn’t due to the birth control shot. They would have struggled to conceive without Depo-Provera as well. Hopefully, your fertility will come back within three or six months after your last shot. This is how it should work, and many women do get pregnant within 8 to 10 months of their last Depo-Provera shot. If your cycles are not coming back or you’re not ovulating, and it’s within two years of your last shot, there is unfortunately very little your doctor can do to help. Fertility testing is useless because the possible effects of the hormone in your system won’t allow your doctor to see what else might be wrong. Fertility treatment also can’t be used, due to the hormones still in your system. You just need to wait. Which can be extremely frustrating. It has been 24 months since your last injection and you are still not ovulating. Your cycles are irregular two years after your last injection. You don’t conceive within 6 to 12 months of ovulation returning. You have other risk factors or signs of a possible fertility problem. As always, discuss any concerns with your doctor. Bigrigg A, Evans M, Gbolade B, Newton J, Pollard L, Szarewski A, Thomas C, Walling M. “Depo Provera. Position paper on clinical use, effectiveness and side effects.” Br J Fam Plann. 1999 Jul;25(2):69-76. Garza-Flores J, Cardenas S, Rodríguez V, Cravioto MC, Diaz-Sanchez V, Perez-Palacios G. “Return to ovulation following the use of long-acting injectable contraceptives: a comparative study.” Contraception. 1985 Apr;31(4):361-6. Jain J1, Dutton C, Nicosia A, Wajszczuk C, Bode FR, Mishell DR Jr. “Pharmacokinetics, ovulation suppression and return to ovulation following a lower dose subcutaneous formulation of Depo-Provera.” Contraception. 2004 Jul;70(1):11-8. Kaunitz, Andrew M MD; Zieman, Mimi MD. Depot medroxyprogesterone acetate for contraception. UptoDate.com. Kaunitz AM. “Injectable depot medroxyprogesterone acetate contraception: an update for U.S. clinicians.” Int J Fertil Womens Med. 1998 Mar-Apr;43(2):73-83. Zieman, Mimi MD. Patient information: Hormonal methods of birth control (Beyond the Basics). UptoDate.com.